Start with the liquid ingredients. Pour the yogurt (or milk) in a blender jar. Break the banana into chunks and place it into the blender. Add the remaining ingredients and process until completely smooth. 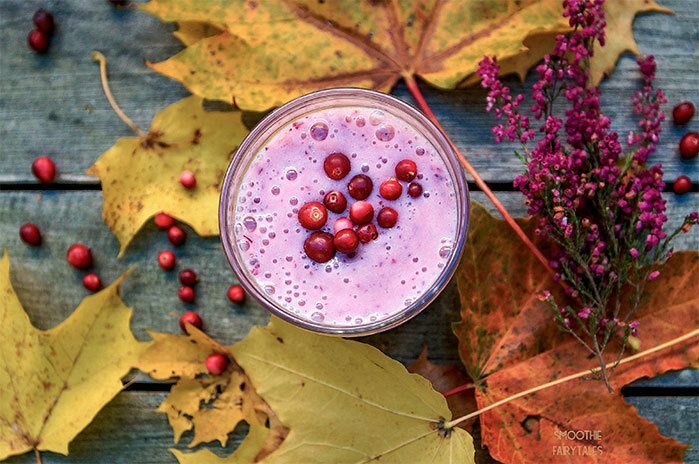 Pour the smoothie in a glass and, if you wish, decorate it with lingonberries.